We braved the weather and shared our best picnic themed bakes for last month's Love Cake. If you missed the round up you can find it here. With schools in the UK traditionally starting their new academic year in late August and September I thought it was time to do some cake baking teaching. It's time to go BACK TO BASICS. There are many people scared of baking so I feel it's our responsibility to share our knowledge. I want to know how you get the perfect Victoria sponge, the lightest scones and the best buttercream. It's a chance to share your tips for those classic bakes and techniques that everybody should be able to make. Alternatively you may want to list your essential baking equipment. 1. Please make sure your entry conforms to this month's theme of BACK TO BASICS. 3. Enter the URL (web address) of your post into the Linky at the bottom of this post. Once the link closes on Monday 28th September 2015 at 23:55 no more entries will be accepted. 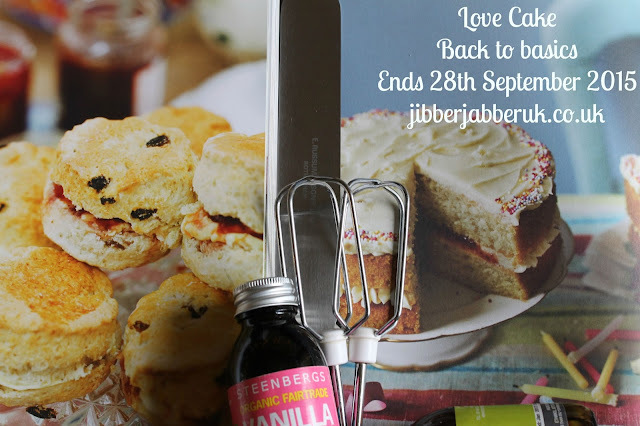 Sounds good, those classic bakes are often the best.